Indian Civil Accounts Service (ICAS), but thanks to her determination she improved her ranking to make it to IAS. Probably, Joy is the second nurse ever to become an IAS. 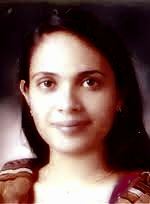 Alice Vaz R, a 2005 batch West Bengal cadre IAS, is also a nurse-turned IAS. Vaz, currently an additional district magistrate in Hooghly, graduated in nursing from MGR Medical in Chennai. Joy is a BSc (Nursing) from the Trivandrum Medical College, and till a few years ago she even did not know that any graduate could take UPSC examinations. But she was ambitious and that forced her to work hard for civil services examinations. She secured the 65th position, and that means she is well within 85 candidates of general category who would make it to IAS this time. If you are sure Joy deserves a Woh! kindly post your comments and say Woh! a) Anil Swarup, a 1981 batch UP cadre IAS who is now an additional secretary in ministry of labour and employment, has been appointed as additional secretary in home ministry. b) Satyanarayan Mohanty, a 1980 batch AP cadre IAS officer who is now senior advisor in Planning Commission, has been appointed as CEO of Food Safety and Standards Authority of India. He will hold the rank and pay of additional secretary. c) Loretta Mary Vas, a 1977 batch UP cadre IAS and secretary of Panchyati Raj ministry, has been given additional charge of the ministry of tribal affairs for three months with effect from May 1, 2012. Woh! Joy. You are a real aam aadmi icon. Team BoI thanks one of our esteemed readers Amit Jain who alerted in Twitter that Joy is not the first nurse to become IAS. It was Alice Vaz of 2005 batch who is also a nurse-turned IAS. She is a West Bengal cadre IAS. Congrats! Ms.Joy will be a great leader in health sector programmes. Just Great.... Nurses from Kerala Rock!!! She has made a mistake in moving from ICAS to IAS. She will realize this after a few years of service in IAS. There should be a common question paper for all aspirants ,with the mains being more indepth than the prelims, obviously.Else there is no consistency in results obtained.You dont get the best candidate for the job.When you take malyalam literature and psychology how do you compare performances across the board ,with physics and chemistry of one candidate and economics and pol.science of another candidate?This is not a university exam where you perform well in your subject and get a good division.This is an admission test for a particular set of prestigious govt jobs.You have to have uniformity in questions asked else the curse of subjectivity creeps in and you select mediocre candidates on the basis of highest total marks obtained in subjects as diverse and different from each other as chalk from cheese! Congratulations Annies! You have done it! A history and brought glory to Kerala. I’m proud of you as I also hail from your neighborhood Muttuchira. Let our young boys and girls emulate your steps and do greater thing for our country rather than becoming like vegetables. Congratulations! God bless you in all the steps and your loving parents. what is there much to boast in this case... A person who gets selection in Trivandrum medical college is competent enough to become a doctor... may be she scored 3-4 marks less in the Kerala entrance exam...And she has to work hard much more than enough to pass most of the other degrees (BA, BSc, MBA....). In Civil Service Exam 100s of people with a mere degree from ordinary colleges across the India also comes out successfully...People with a correspondence degree also becomes IAS every year... so don't boast too much that a nurse became this. The people who really boast it are those that think that nurses has less intelligence and because of it only they go for nursing... Nursing is also a tough course to pass... Why everyone thinks that anyone can become a nurse..
woh keep it up !!!! registered nurse education requirement innovative developments in professional medical as well as healthcare technologies. where there is a will, there is a way !!! many more hurdles you may face, but you wud be a jumper to move above it..
My Congrats from a kaloor guy for your efforts even though i don't know you..